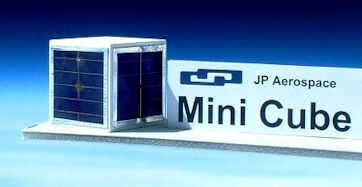 You get a MiniCube that gets flow to the edge of space with your project inside. 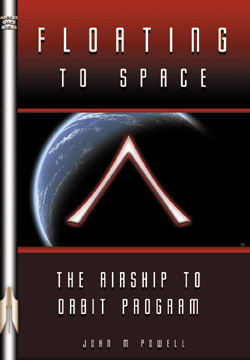 This book describes the Airship to Orbit concept and our adventures in bringing it to reality. Help build the way to space! Help support the PongSat program! Help us make it there faster! Help us get a lot more there! 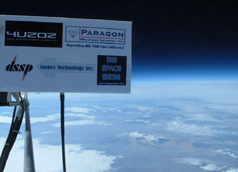 Have your 2" x 2" ad or message flown to the edge of space! Ad sales support our PongSat student missions. Save your spot now! Need more room for your logo or message? See next few items for more ad sizes. Nice size, fits most logos (Paragon Example). Perfect size for small businesses. 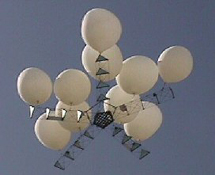 As shown here in this photo. Get the whole thing to yourself! Big, Attention-Grabbing! All the great videos from the web site plus a lot more! A quality tee shirt with a large JPA logo in the front. Be sure to select a size. 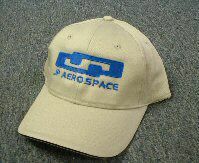 Quality embroidered baseball cap. Keep the sun out of your eyes while looking skyward! Parts and pieces of crashed JPA rockets. Own a part of history! 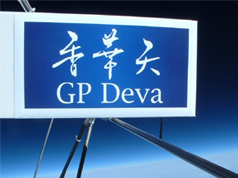 These postcards flew to 72,232 feet, May 1999 on our space flight attempt. They are postmarked with the launch date. Very limited item. These beautiful postcards were flown to 100,935 feet on the Away 23 Mission. Only 77 flown. Image by Space Artist Dave Archer. 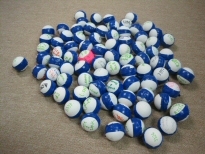 The convenience of a pre-cut table tennis ball, ready to be loaded with your experiment! Your ball already comes with a unique ID number. Includes shipping. 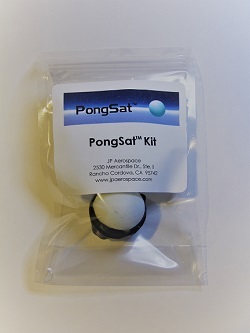 This kit is optional, the PongSat program is free!